Brian Michael Stableford is a British science fiction writer who has published more than 70 novels. 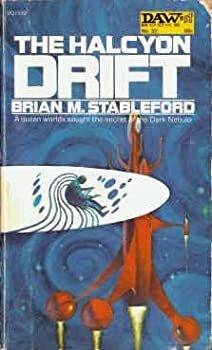 His earlier books were published under the name Brian M. Stableford, but more recent ones have dropped the middle initial and appeared under the name Brian Stableford. He has also used the pseudonym Brian Craig for a couple of very early works, and again for a few more recent works. 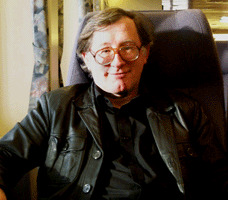 The pseudonym derives from the first names of himself and of a school friend from the 1960s, Craig A. Mackintosh, with whom he jointly published some very early work. Born at Shipley, Yorkshire, Stableford graduated with a degree in biology from the University of York in 1969 before going on to do postgraduate research in biology and later in sociology. In 1979 he received a Ph.D. with a doctoral thesis on “The Sociology of Science Fiction”. Until 1988, he worked as a lecturer in sociology at the University of Reading. Since then he has been a full-time writer and a part-time lecturer at several universities for classes concerning subjects such as creative writing. He has been married twice, and has a son and a daughter by his first marriage. CLICK HERE FOR MORE BOOKS BY BRIAN STABLEFORD. 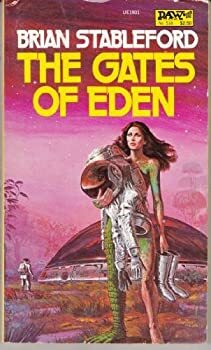 The Hooded Swan — (1972-1975) Publisher: In a galactic culture that extends from quasi-Utopian worlds like New Alexandria to vermin-infested slums like Old Earth, starship pilots have become the great romantic heroes of the day. When Star-Pilot Grainger is rescued from a shipwreck, he finds himself pressed into reluctant service to fly the Hooded Swan, the prototype of a new kind of interstellar ship. He’s also picked up an alien parasite that’s determined to share his brain. Under these dire circumstances, can Grainger possibly stay out of trouble? Not a chance! We’re showing the original paperback versions here because the covers are better, but Kindle and audio versions are available also. Grainger, a spaceship pilot, has been shipwrecked on a deserted island in a dangerous star system called the Halcyon Drift. He’s just about to give up hope when he is unexpectedly rescued by a commercial spacecraft. They charge him for the rescue and take him to court, so now he’s deep in debt. When he arrives on Old Earth, he finds it in decline. There’s no hope of getting off or finding lucrative work, so he’s forced to accept a job offer to pilot the prototype of a new hi-tech spaceship, the Hooded Swan. Unfortunately, this means going back to the Halcyon Drift to help his boss, a mad scientist, hunt for the Lost Star, a spaceship that disappeared in the Drift carrying a potentially valuable cargo. This is a very dangerous job, but perhaps Grainger will get some help from the alien parasite that took up residence in his brain while he was stranded in the Drift. Lee Caretta is a geneticist who has been sent, along with a xenobiologist, to the newly discovered planet of Naxos to investigate the mysterious deaths of the first exploratory team to arrive on the planet. As far as anyone knows, there are no sentient species on Naxos, but Lee and his colleagues will learn that there is life on Naxos, and it is strange and dangerous. But it’s not only the new planet that is hostile. There is some political and personal intrigue going on, too, and it might be just as deadly. Lee will be hard-pressed to discover the planet’s secrets, as well as the humans’ secrets, before it’s too late.